Anyone who buys a new car, dreams of a few things. Most importantly, if it is your first car, you must be wanting everything to be of the highest quality possible. Most people prefer soft fabric for seats, white or black color and an unbreakable windscreen, but what about the car locks? Don’t you think that should be the first priority to think about? Getting yourself locked out of a car is not only a hassle but it can also prove to be extremely dangerous if you are stuck in an isolated, dark place. This is the time and place when a locksmith’s true identity reveals and we are proud of our services in difficult times of our customers. We offer a firm price to our customers over the phone and it identifies us as a reputable locksmith company. Here is a small tip, never hire a locksmith that can’t tell you an estimated price before arrival. In the end, you will be paying more than you expected. 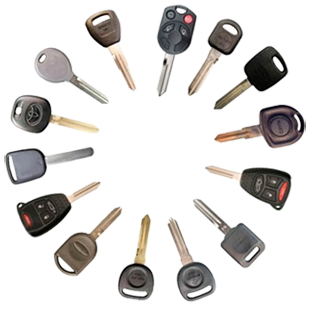 Here, at Locksmith Solution, we deal with all kinds of locking systems corresponding to different motor vehicles. Along with all the other services we offer for cars, we are lucky to have the best-trained technicians in our company who are well versed with all the latest auto locks and specialize in modern car locking systems. Not only this, but they are well aware of the processes including car lock installation and change and ignition replacement. Even if you have lost your car keys, we can replace it with a new one. If it got broken inside the car key hole, our experts will deal with it too in no time. We have all types of car keys, so if you worry that your car is different, we have the right solution for you.